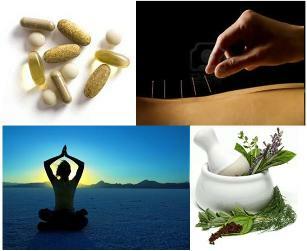 Here we review current science news published November 2012 on natural health topics. Some of these articles have been published online ahead of print, and will be featured in print in the journal's future publication. This supplement is a prebiotic food, so it is believed to improve the intestinal environment, and can improve the overall health in animals. It has previously been shown to prevent chemical-induced colitis. It was believed that the improved intestinal status with FBRA accounted for animals faring better when challenged with disease-causing chemicals. That is, that the supplement decreased cell vulnerability. But this new research takes the supplement one step further, and suggests that it is capable of changing cancer cell metabolism in a powerful way. M Itoh et al. “Extract of Fermented Brown Rice Induces Apoptosis of Human Colorectal Tumor Cells by Activating Mitochondrial Pathway.” Phytother Res. Nov 2012; 26(11): 1661-1666. In the latest news (not even off the press yet), a review of chasteberry in randomised clinical trials concludes that the herb is effective in treating premenstrual syndrome, premenstrual dysphoric disorder, and latent hyperprolactinaemia. Studies consistently found chasteberry to be more effective than placebo, as well as magnesium oxide, and pyridoxine. One study even found chasteberry to be more effective than fluoxetine. Adverse reactions to chasteberry were consistently mild and infrequent. Historically used for a variety of female reproductive disorders, it's nice to see the scientific validation of chasteberry. MD van Die et al. “Vitex agnus-castus Extracts for Female Reproductive Disorders: A Systematic Review of Clinical Trials.” Planta Med. Nov 2012. Epub ahead of print. Researchers looked at the dietary habits, weight, and body composition of males who underwent surgery for colorectal cancer. They also studied the outcomes of those patients and monitored for postoperative complications and their length of stay in the hospital. While body weight, size, and composition seemed to have little effect on the surgical outcomes (possibly due to small sample sizes), patients who included more omega-3 fatty acids in their diets (EPA and DHA) were less likely to experience postoperative complications. Those without postoperative complications took 1.2g of combined EPA + DHA daily. It is interesting to note that those with postoperative complications had a daily omega-3 intake averaging 0.7g, which is well above the recommended amount, suggesting that the recommended values may need to be adjusted. Omega-3’s are one supplement with the best track-record for healing following injury, trauma, or surgery. P Berstad et al. “Preoperative body size and composition, habitual diet, and post-operative complications in elective colorectal cancer patients in Norway.” J Hum Nutr Diet. Nov 2012. Epub ahead of print. For the first time, researchers showed that brain regions are "switch" their connectivity between morning and evening. That is, the areas of the brain that preferentially communicate in the morning are different from those that preferentially communicate in the evening. Researchers suggest that the evening pattern of brain connectivity is consistent with the theory that restful time in the evening is required for the brain to consolidate information into long-term memory in order to store information. Even more interestingly, the evening functions required just as much energy as the morning connection patterns, suggesting that while we may be resting, the brain itself is not "resting" any more than it is during wakeful hours. BJ Shannon et al. "Morning-evening variation in human brain metabolism and memory circuits." J Neurophys. Nov 2012. Epub ahead of print. Like this? 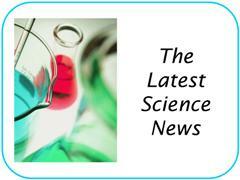 Want to get current science news in your inbox every month? I promise to use it only to send you Sharing the Science. Copyright Halfway to Hippie, LLC. All rights reserved. All information contained is intended for educational purposes. Visitors should always consider consulting with a physician before making any changes to their diet, lifestyle and/or supplements.